Wild City is a monthly comic strip that helps you get to know your wild city neighbors. These urban ecology comics are created with observations, research, and love. Rosemary Mosco writes these comics. 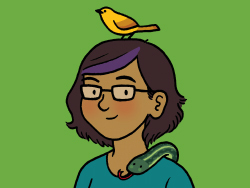 She’s a science communicator with a background in the natural sciences, and she makes nature comics at birdandmoon.com. Rosemary especially loves birds, ferns, and snakes. Maris Wicks draws these comics. She has created and illustrated science comics for kids (such as Human Body Theater) and adults (such as Primates: The Fearless Science of Jane Goodall, Dian Fossey, and Biruté Galdikas, written by Jim Ottaviani). 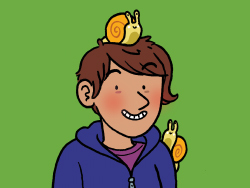 Maris loves ocean life and is especially fond of snails. Learn more about her work.